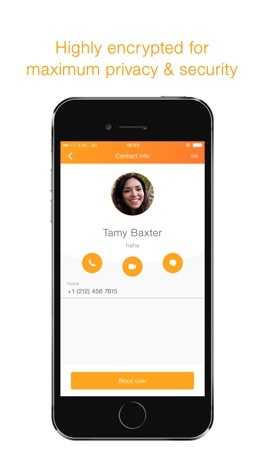 + "NO ADS, NO GAMES, NO GIMMICKS"
+ EASE-OF-USE: Use the simplest way to chat with your contacts and send messages. No need to sign-up via email or add/follow people, OneTime works with your phone number just like SMS. 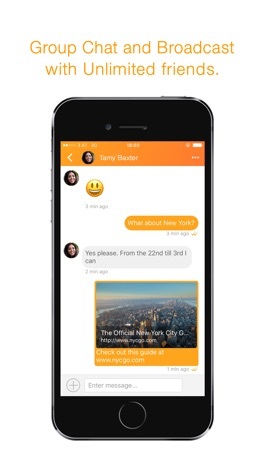 + SECURE: Message with your friend completely secure, private and NSA proof. OneTime never stores your messages or pictures. It only uses a queue for messages that haven't been delivered yet. After delivery it wipes out everything. 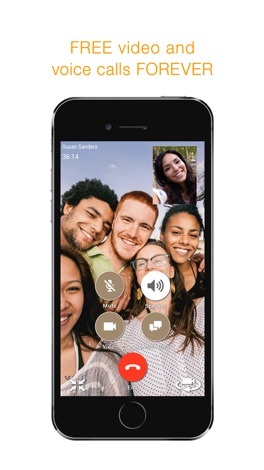 + SHARE PHOTOS, VIDEOS OR VOICE MESSAGES: Want to share the beautiful view from your hotel room, a terrible karaoke performance or your kids’ first steps? 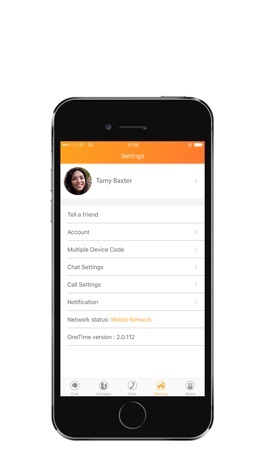 With OneTime you can send and receive photos, videos and voice messages anywhere and anytime. 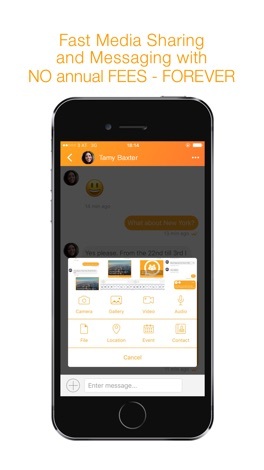 + MULTI-DEVICE USE: Use your messenger on your iPhone or your iPad. With OneTime you decide where you send the messages from. + SHARE YOUR LOCATION: Let your friends know where you are and make arranging meetings so much easier. + UNLIMITED GROUP CHAT: Enjoy group chats with your contacts so you can easily stay in contact with your friends or share your ideas concerning current projects with colleagues. + UNLIMITED BROADCAST CHATS: Give OneTime Tweets to friends, colleagues and business partners or send your ideas and plans to different people at the same time. + SHARE YOUR CONTACTS: Make networking easier, never again have problems with incompatible digital business cards, with two easy clicks send contacts and have them automatically integrated in your friends address book. *Data charges may apply. Contact your provider for details. For calls and video calls at least a 3G connection or Wi-Fi is necessary. You can enjoy music and listen to the FM radio by our products. goBaby offers traveling families an easy way to rent strollers, car seats and other items they need for their children during trips from a community rental marketplace of local parents. For local parents goBaby provides an easy way to make some extra cash by renting their unused equipment to traveling parents to enhance their travel experience. LEFT LEFT RIGHT RIGHT JUMP JUMP A small logic game. Solve logic puzzles and pass levels! TLA continued. This time it’s not levels, but a story (and a few separate levels). A lot of logic brain teasers and interesting solutions. Read the messages, use your brains and have fun!